We mostly cleared the room last month to make space for workers restoring the window, so it seemed like a good opportunity for another couple of coats. The hardware store employees were incredulous that shellac could be a floor covering, and I had to be adamant to get them to order me a quart of it. (It was weird, they’re not usually like that.) Sang wielded the brush and had to go lie down and giggle afterwards because of the alcohol fumes. But look, pretty! 2. After Vass mentioned a game called Alphabear, I put it on my phone and tried it out. I may get hooked enough to have to delete it soon, although so far it’s strenuous enough that my brain’s tired of it after a round or two. It’s just as well I left my phone at home today. 3. This art car has been for sale down by the Reed campus for a couple of weeks. Thing is, the front panel spells out in beads that it’s dedicated to the memory of someone. It would be a considerable and maybe odd responsibility to take over an art car memorial for someone you didn’t know. 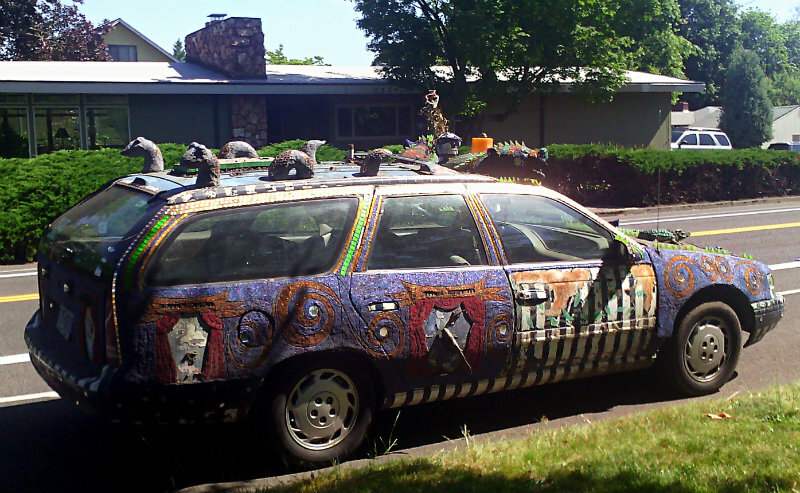 We had an art car plan, never executed, for my old Camry– the paint on the hood was worn and scratched, and Sang suggsted we could paint on a knitting-stitch pattern, with cables or whatever, and then maybe put a big ball of yarn and needles on the roof. But in reality, I’m so averse to attracting attention that even a bumper sticker is pushing it. Also the reason I’ll probably never have a recumbent bike, unless someday they’re no longer conversation magnets. 5. 1970s rereading jag, including most of the Al books by Constance C. Greene. 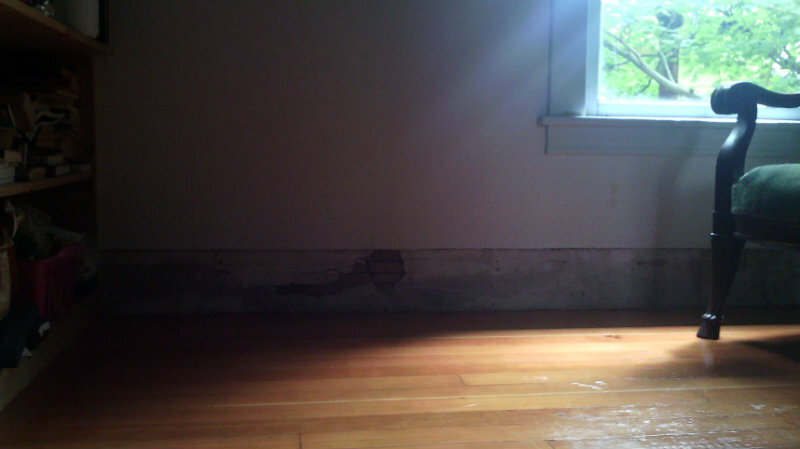 Books set in apartment buildings were strange and fascinating to me as a kid– friends living down the hall, taking the laundry to the basement, and people called “supers” who also lived in the basement? The Al books are such a comedy act in their dialogue and timing and repetition that I’m a little surprised that they felt like real novels to me then. I didn’t even notice for years that we never learn the narrator’s name. Now I’m on to Beat the Turtle Drum and it’s very weird to hear echoes of that same voice in Kate and Joss, but slower and more serious.